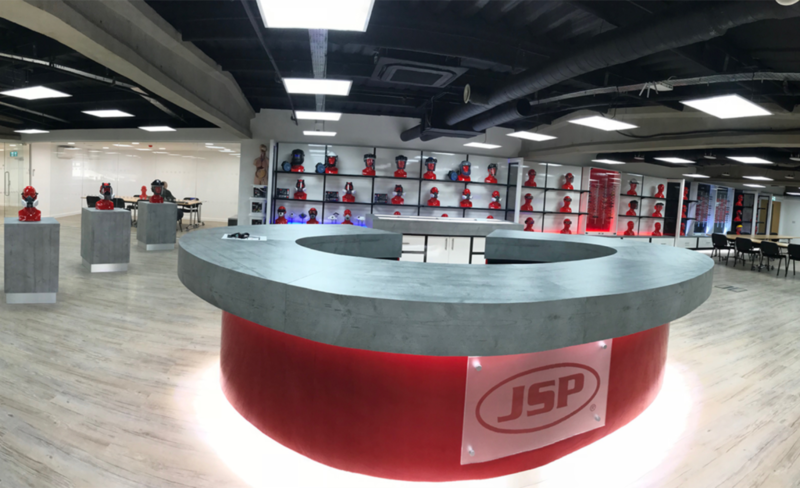 JSP Ltd (Witney, U.K) is a long established market leading manufacturer and cutting edge developer of Personal Protection Equipment (PPE). 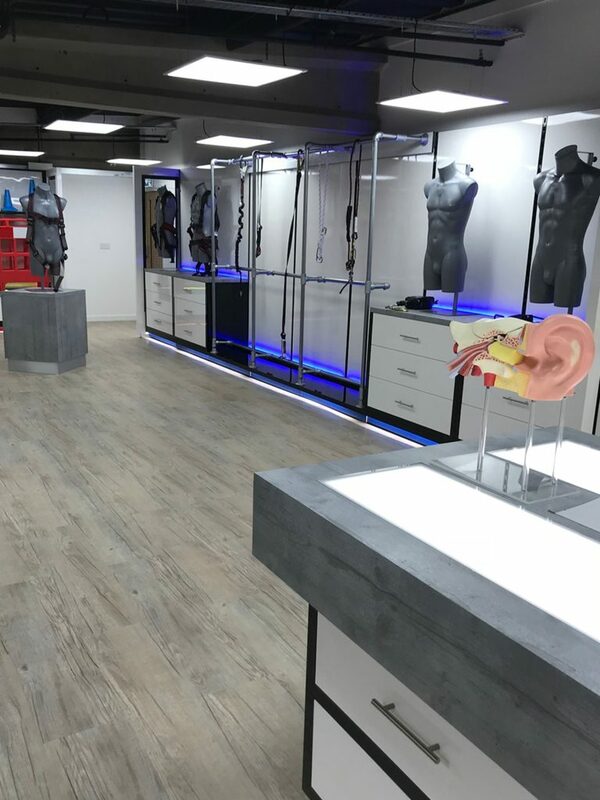 The company occupies an old mill complex and the decision was made to transform one storage floor into a state-of-the-art showroom, hospitality and conference area to cater for visitors from across the world. The first challenge was the deadline. 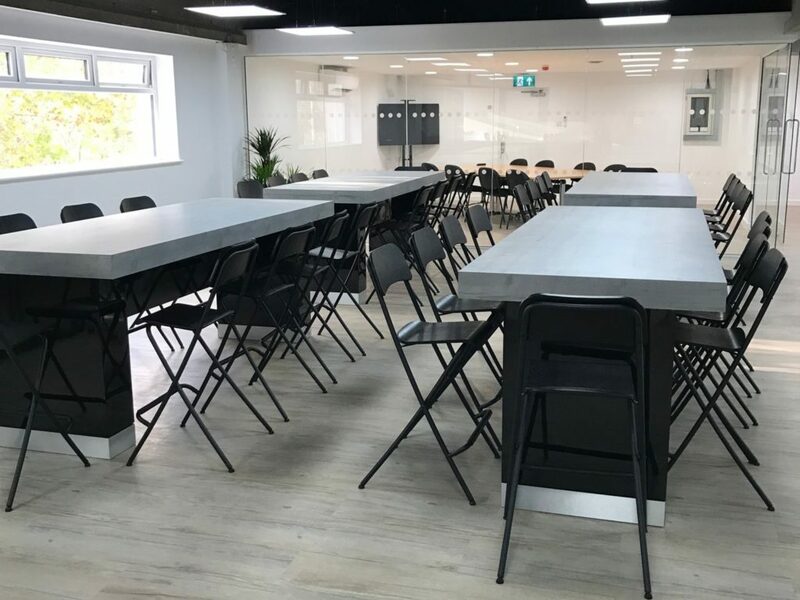 The showroom had to be completed in time for the company to meet its own established promotional programme and the showroom facility was required for a team of international delegates due to arrive in the first week of November. The second challenge was the low ceiling height and, being an old building, a lack of natural light. The last challenge was design: JSP needed to work with a company who understood their vision and was able to create an environment which was both functional and represented JSP’s forward thinking outlook. 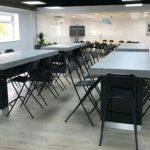 JSP wanted us to deliver a space which can be adapted to suit various changes / functions and was as much as possible – future-proof. 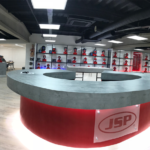 We and our designer worked closely with the JSP management team and put forward various options including a bespoke, colour co-ordinated modular wall system complete with LED lighting, mobile furniture with electrical mains supply / network and charging points, plus various bespoke floor standing displays for head wear. We also worked with the client’s product demonstration team to ensure that there was a logical route / flow for future showroom visitors.